Through our partnership with MexiPass Insurance, we are able to offer Mexican car insurance for those who need insurance coverage while in Mexico. We can cover you for a day, a week, or as long as you like! Travel back and forth to Mexico frequently? Avoid the inconvenience of purchasing a Mexican auto insurance policy every time you travel and buy a policy that is good for a full year. You can get a Mexican car insurance quote online in 30 seconds and buy a policy in less than 5 minutes. 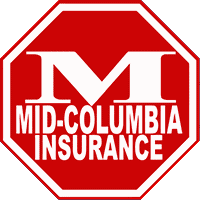 Or call Mid-Columbia Insurance at (509) 783-5600 to get a quote on Mexican Car Insurance. Mexican Car Insurance… The American Way! Don’t wait till you get to the border or in Mexico to buy your Mexican car insurance. When you have to buy your Mexican Insurance at the last minute you have no way of knowing what kind of coverage you are paying for. The MexiPass Insurance policy we offer is designed to handle the Mexican insurance needs with an insurance policy that is specifically developed to meet American insurance standards. Buy the best Mexican auto insurance at great rates! We have two levels of coverage available with Mexipass. The STAMP® program offered through Mexipass is great coverage without all the bells and whistles. We believe that travelers in Mexico shouldn’t have to lower their standards for insurance coverage. Get the same basic coverage as American car insurance… but in Mexico! Coverages available include liability insurance, physical damage for your vehicle, medical payments for you and your passengers, and towing. All of this looks and feels like an American insurance policy, so there are no questions about what coverage you are getting. The STAMP® program does not offer uninsured motorist coverage or include the deluxe Travel Package benefits that the MAS-Plus® program does. MexiPass goes to great lengths to ensure their products are easy to use and understand. As such, the STAMP® Mexican car insurance product features simplified online rating without the need to list drivers on the policy application – making it quick and easy to quote and start a policy online. Policy documents are provided in both English and Spanish and feature US claims adjusters with the option to repair damaged vehicles in the US or Mexico. The MAS-Plus® program provides the most comprehensive Mexican car insurance product available for Americans traveling in Mexico. Like all MexiPass products, MAS-Plus® is simple to read and clear.The policies are written in both English and Spanish so there is no confusion about what coverage you are purchasing. The “Mas” coverage includes the same coverage as the STAMP® plus uninsured motorist. Traditional Mexican insurance policies simply don’t go to the same lengths and provide the same coverage as MexiPass. Don’t sacrifice coverage while traveling in Mexico! The exclusive MexiPass “Plus” Travel Package goes above and beyond and ensures that you get true value at no additional cost! The Travel Package includes Emergency Roadside Assistance, Emergency Medical Expenses, Emergency Transportation Home (or to Destination), Accidental Death Benefit, Funeral Expense, and Repatriation of Remains. The Travel Package is the MexiPass difference and makes the MAS-Plus® Mexican car insurance policy the BEST Mexican car insurance policy on the market. Going to Mexico for a weekend? Short-term policies are available for one-day or longer so you can drive confidently. Travel frequently? Take advantage of our annual policies to save money and to dodge the hassle of constantly buying policies each time you travel to Mexico.